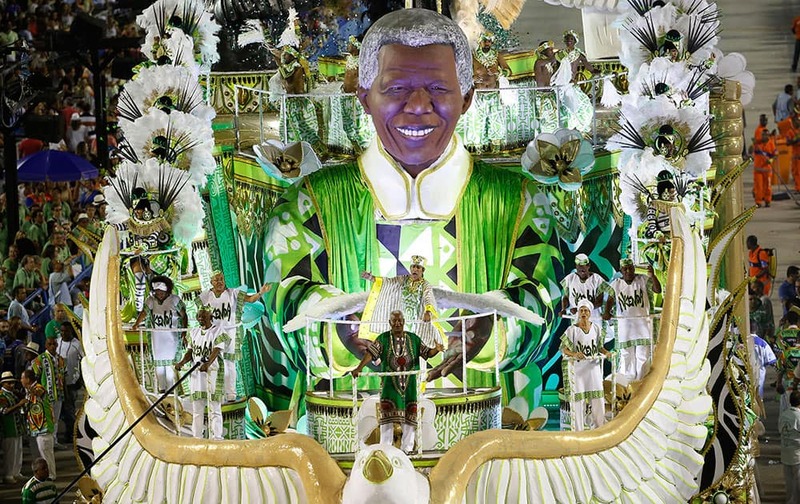 Performers from the Imperatriz Leopoldinense samba school parade in a float with the sculpture depicting Nelson Mandela, during carnival celebrations at the Sambadrome in Rio de Janeiro, Brazil. 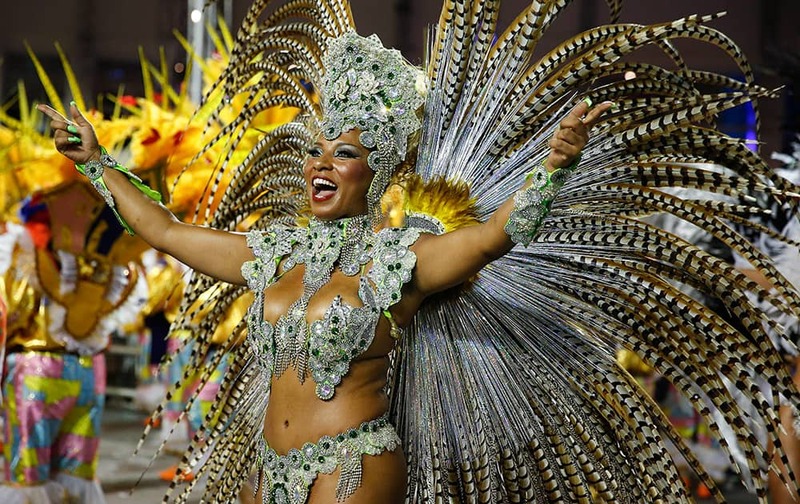 Brazilian actress Sheron Menezzes from the Portela samba school sings out in the Carnival parade at the Sambadrome in Rio de Janeiro, Brazil. 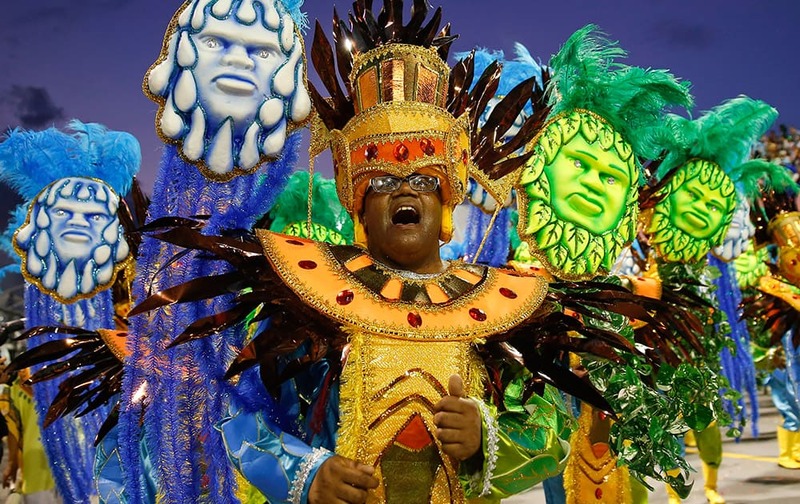 Performers from the Portela samba school, parade during Carnival celebrations at the Sambadrome in Rio de Janeiro, Brazil. Actress Juliana Paes is carried by dancers of the Viradouro samba school in the Carnival parade at the Sambadrome in Rio de Janeiro, Brazil. 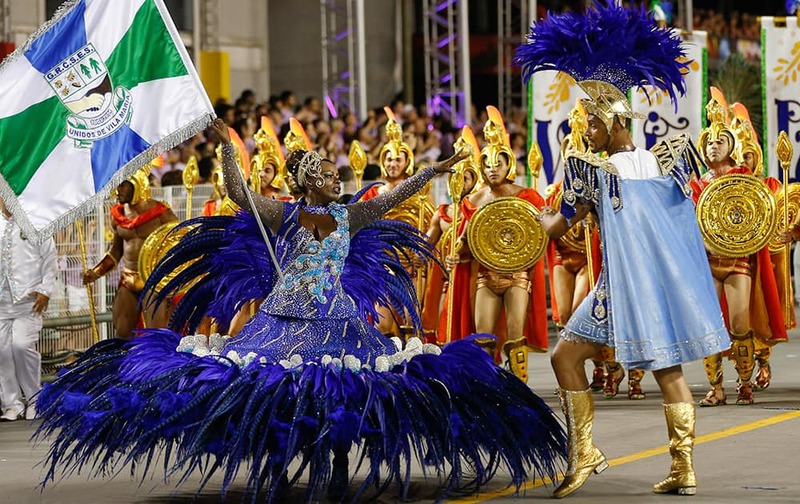 Performers from the Academicos do Grande Rio samba school parade during carnival celebrations at the Sambadrome in Rio de Janeiro, Brazil. 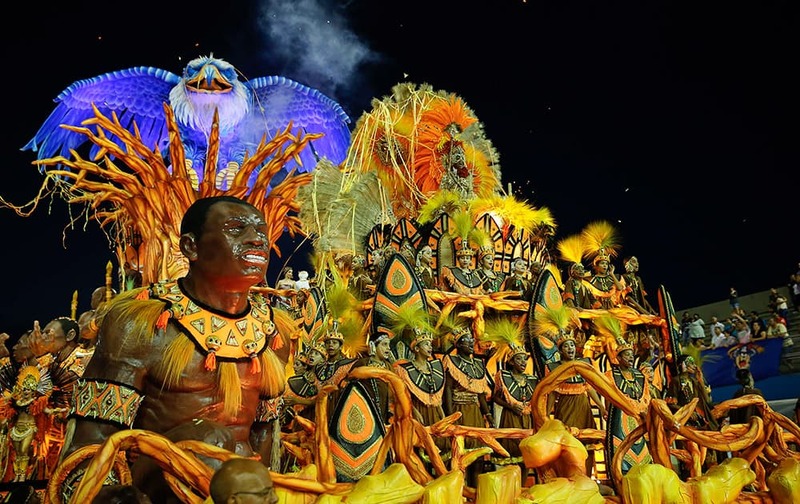 Performers from the Mocidade samba school, parade during Carnival celebrations at the Sambadrome in Rio de Janeiro, Brazil. Drum queen Viviane Araujo, from Salgueiro samba school, dances during carnival parade at the Sambadrome in Rio de Janeiro. 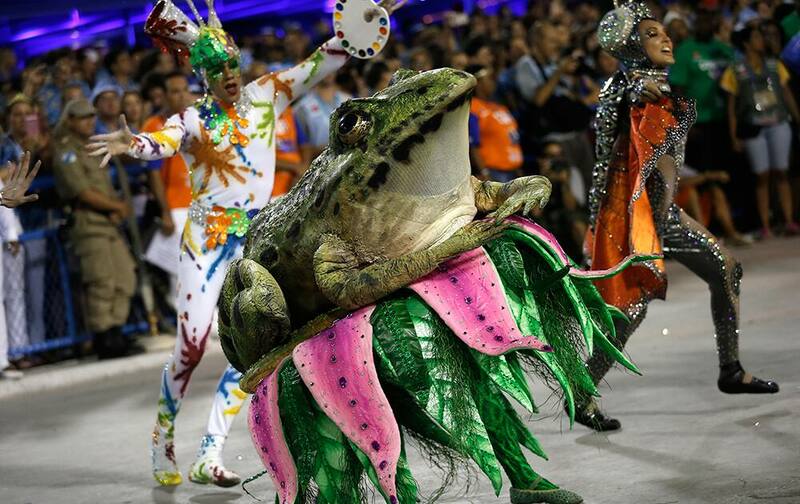 A performer from the Salgueiro samba school parades during carnival celebrations at the Sambadrome in Rio de Janeiro, Brazil. 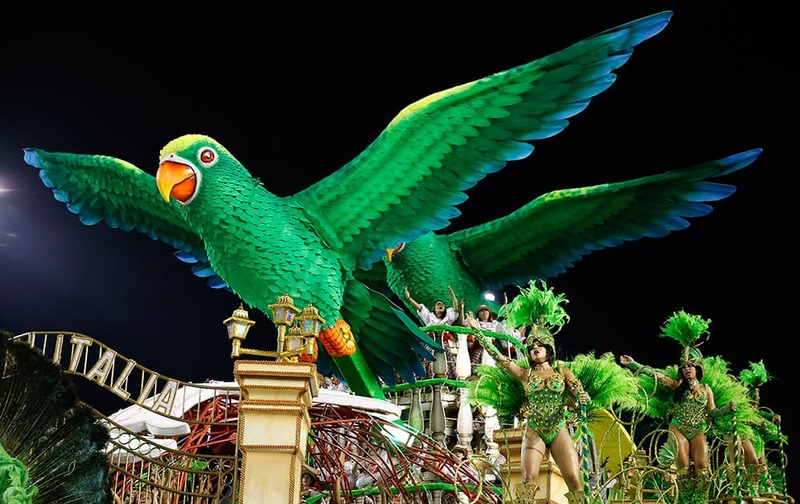 A performer from the Academicos do Grande Rio samba school parades during carnival celebrations at the Sambadrome in Rio de Janeiro, Brazil. A performer from the Vila Isabel samba school parades during carnival celebrations at the Sambadrome in Rio de Janeiro, Brazil. Performers from the Vila Isabel samba school parade during carnival celebrations at the Sambadrome in Rio de Janeiro, Brazil. 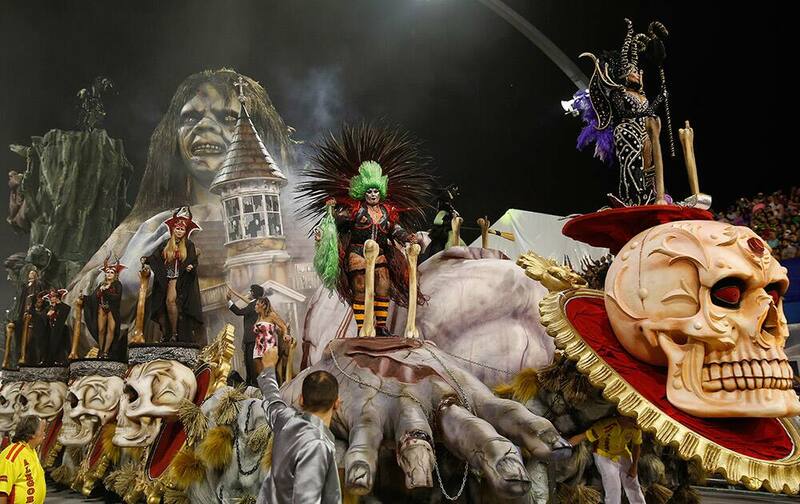 Drum Queen and singer Claudia Leitte from the Mocidade samba school, performs during Carnival celebrations at the Sambadrome in Rio de Janeiro, Brazil. 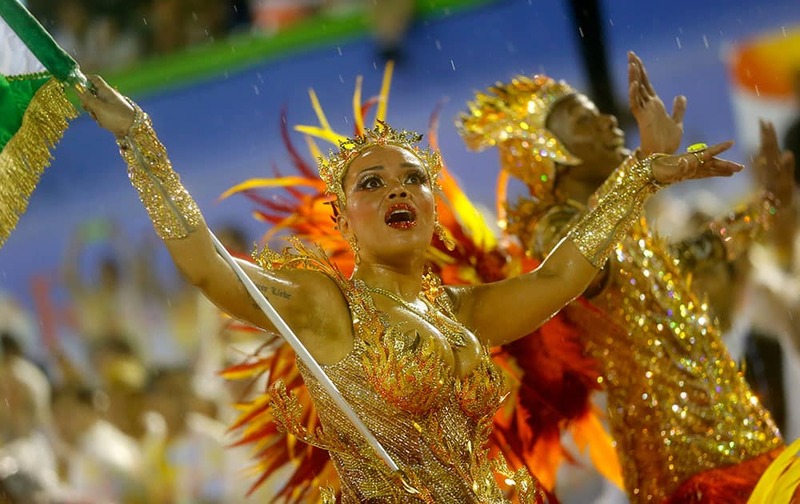 Brazilian model and comedian Sabrina Sato, from the Gavioes da Fiel samba school, performs during a carnival parade in Sao Paulo, Brazil. Dancers from the Vila Maria samba school perform on a float during a carnival parade in Sao Paulo, Brazil. 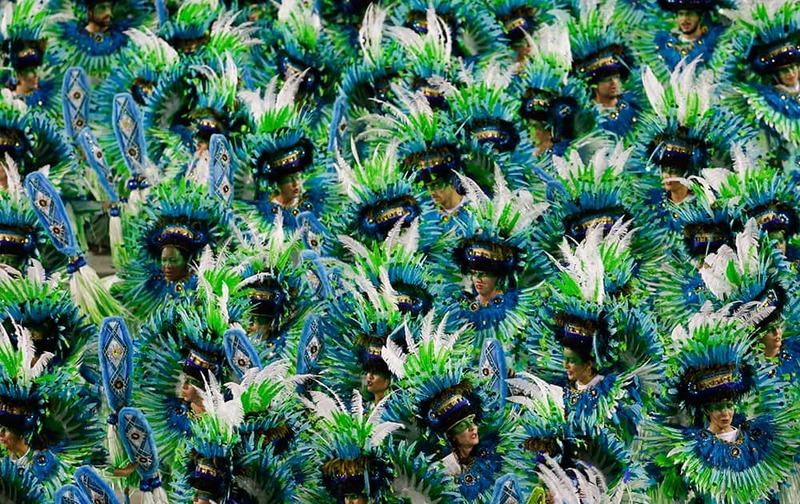 Dancers from the Vila Maria samba school perform during a carnival parade in Sao Paulo, Brazil. 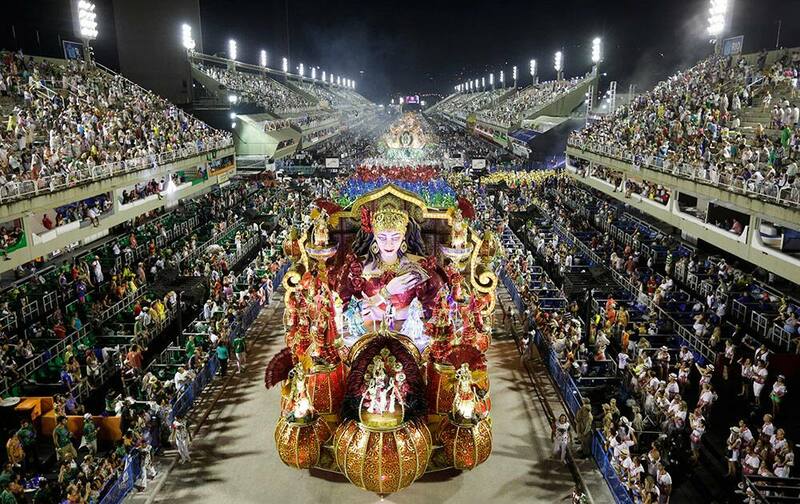 Revelers pack the streets of Santa Teresa during the 'Ceu na Terra', or Heaven on earth, carnival parade in Rio de Janeiro, Brazil. 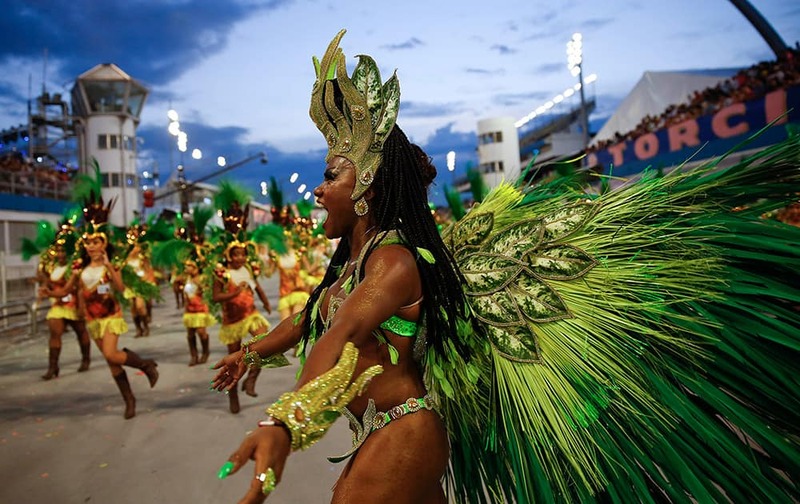 A dancer from the Nene de Vila Matilde samba school performs during a carnival parade in Sao Paulo, Brazil. 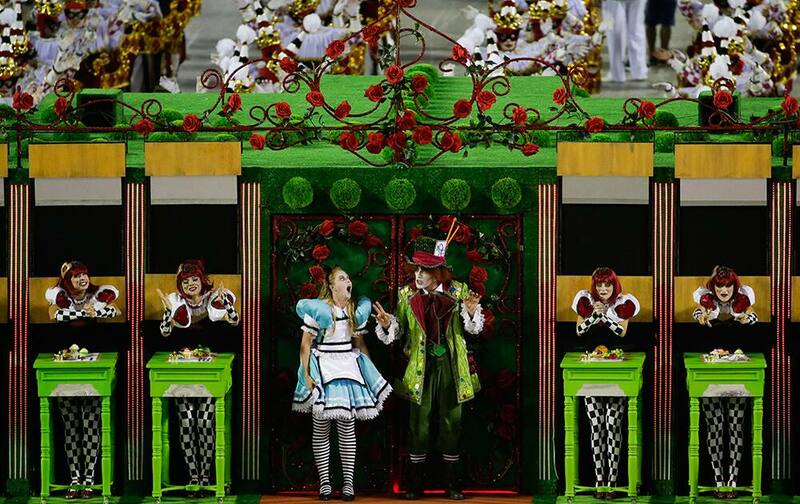 Dancers from the Nene de Vila Matilde samba school perform on a float during a carnival parade in Sao Paulo, Brazil. 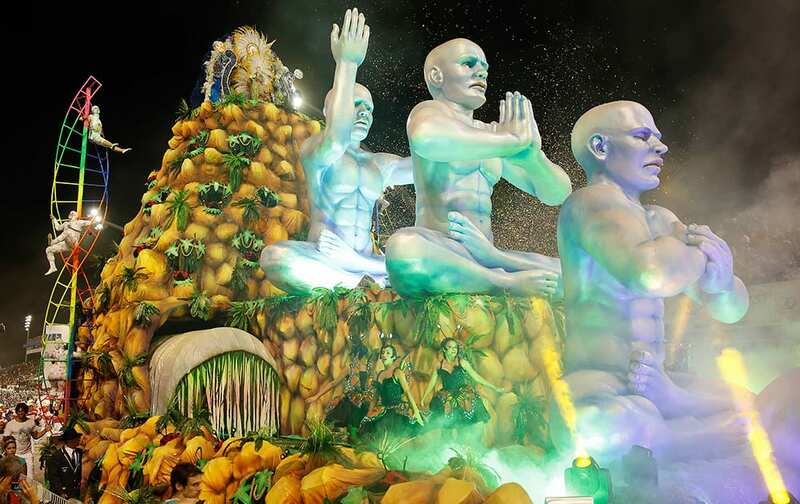 Dancers from the Tom Maior samba school perform on a float during the Carnival parade at the Sambodromo in Sao Paulo, Brazil. 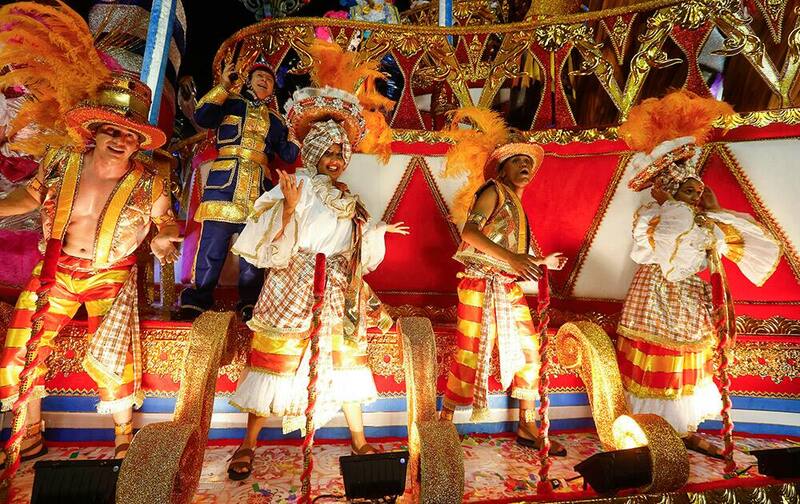 Dancers from the Nene de Vila Matilde samba school perform on a float during a carnival parade in Sao Paulo. A dancer from the Academicos do Tucuruvi samba school performs during the Carnival parade at the Sambodromo in Sao Paulo, Brazil. Dancers from the Mancha Verde samba school perform on a float during the Carnival parade at the Sambodromo in Sao Paulo, Brazil. 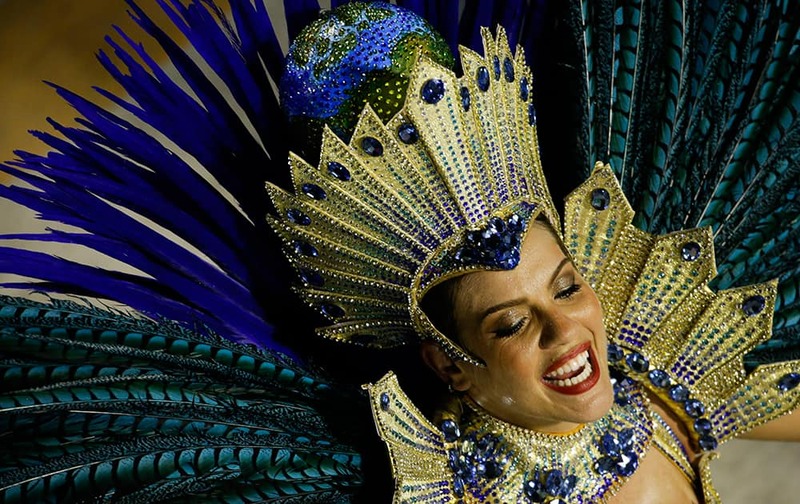 A dancer from the Academicos do Tucuruvi samba school performs during a carnival parade in Sao Paulo, Brazil. Dancers from the Academicos do Tucuruvi samba school perform on a float during the Carnival parade at the Sambodromo in Sao Paulo. 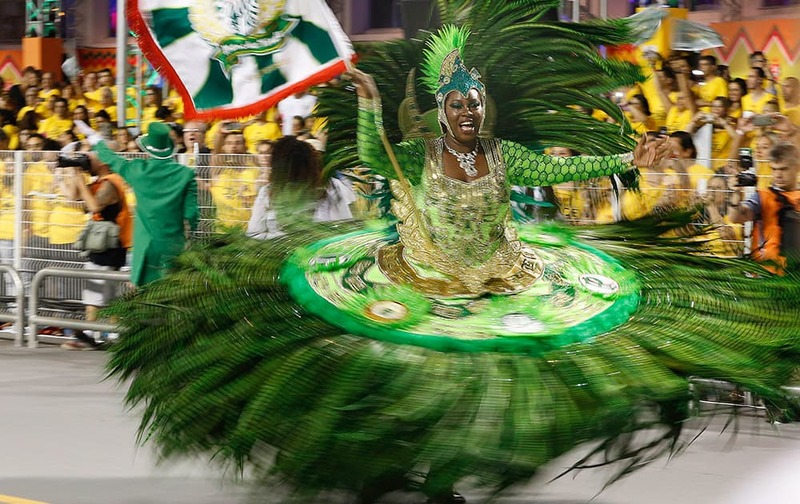 A dancer from the Mancha Verde samba school performs during the Carnival parade at the Sambodromo in Sao Paulo, Brazil. 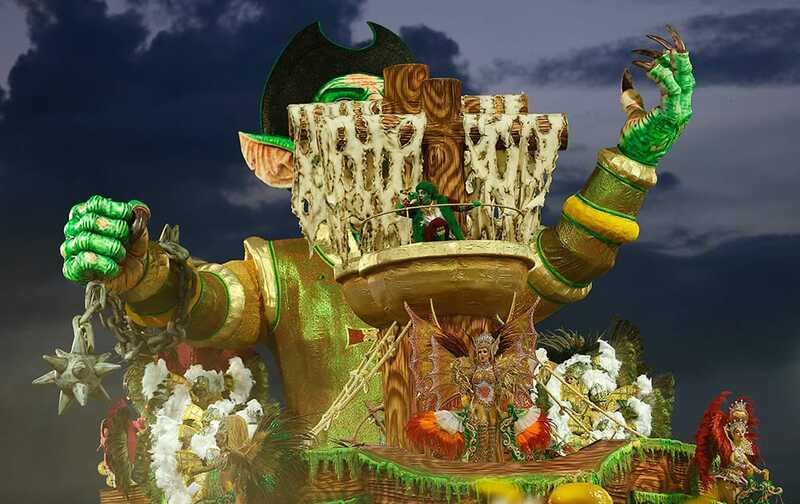 A dancer from the Mancha Verde samba school performs in the Carnival parade at the Sambodromo in Sao Paulo, Brazil. 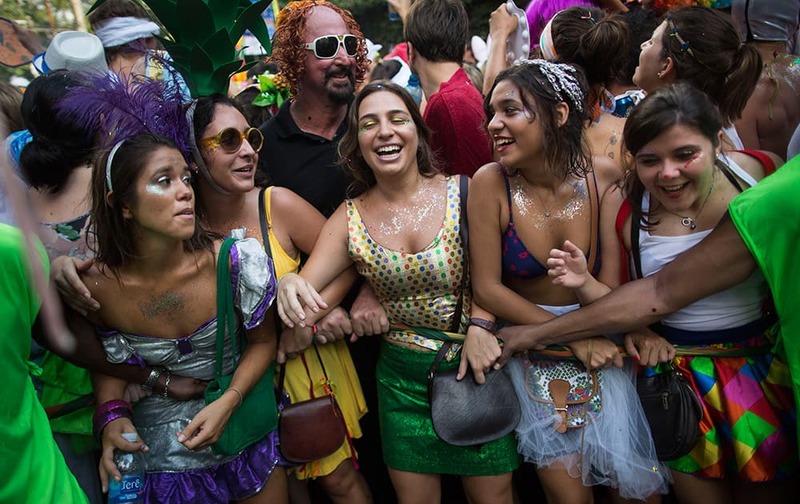 Revelers dance during the 'Ceu na Terra', or Heaven on earth, carnival parade in Rio de Janeiro, Brazil.